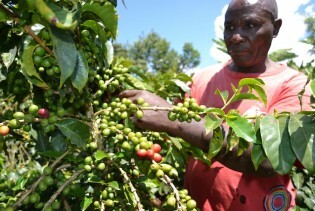 Coffee farmer Gabriel Kimwaki from Nyeri County, in central Kenya, is considering “giving up farming altogether”. Misganew Andeurgay changes his bamboo-made pen for another, dips it in a tiny pot of viscous liquid and, on a parchment page filled with black script, begins to trace in scarlet-red ink the Amharic word for god. Female fashion designers are drawing on Ethiopia’s rich cultural heritage and adding a modern twist to find success at home and increasingly impress abroad. As the North American Free Trade Agreement (NAFTA) passes its 20-year milestone, Mexico is seeing the displacement of traditional crops like maize by marihuana and opium poppy as a result of falling prices for the country’s most important agricultural product. With its two-trillion-dollar economy, recent discoveries of billions of dollars worth of minerals and oil, and the number of investment opportunities it has to offer global players, Africa is slowly shedding its image as a development burden. Evelyn Mhasi, a qualified nurse, has not worked in her profession for the last seven years. Hiring in several Zimbabwean government sectors, including nursing, remains frozen despite colleges churning out skilled professionals each year. All over the Ivorian economic capital, Abidjan, large cranes, involved in the construction of new buildings and highways, are dotted across the city skyline. Prosper Muripo rents a small space in a general dealer’s shop at the Gotora shopping centre in Zimbabwe’s Mashonaland East province. He is one of the many people in rural Zimbabwe who earn a living selling recharge vouchers and charging mobile phone batteries on solar-powered chargers. The Chinese characters boldly painted on a supermarket poster in Tanzania’s commercial capital Dar es Salaam say a lot about the growing influence of China on this east African nation. Leading bankers are concerned that the regulatory environment in some southern African states is preventing them from offering a full range of services to individuals and companies across the region. At a recent campaign rally in Zimbabwe’s Midlands Province, Prime Minister Morgan Tsvangirai pledged to establish rural-based companies to create employment. It was a promise that appealed to 34-year-old sociologist Agnes Ngwenya who graduated from the University of Zimbabwe 10 years ago, but has not yet found work. Southern Africa has to settle in for another round of negotiations after talks on Economic Partnership Agreements failed to produce results in June, bringing countries closer to losing access to the lucrative European Union market. Raja Venkat, a food vendor on the sidewalk of Immigration Square in the centre of Port Louis, the Mauritian capital, sits on his tricycle with a bag full of dhal puris - small, round, flat Indian bread stuffed with pulses - which he sells together with tomato sauce and bean curry. As the Côte d’Ivoire government clears its protected forests of illegal occupiers, particularly in the Dix-Huit Montagnes region, environmentalists say that this crucial move might lead to conflict in an already tense region. Dreaming Big – But Who Will Fund Southern Africa’s Infrastructure Plans? Mounds of sand and rubble are what are left of sections of Maputo’s beachfront road as bulldozers, manned by Chinese construction workers, tear up the road that is being rebuilt. Southern Africa is under construction and the reminders are everywhere. If a Free Trade Area were to be negotiated between Africa’s two largest economies, South Africa and Nigeria, it would have a powerful effect on trade across the sub-continent and would challenge other countries to respond.